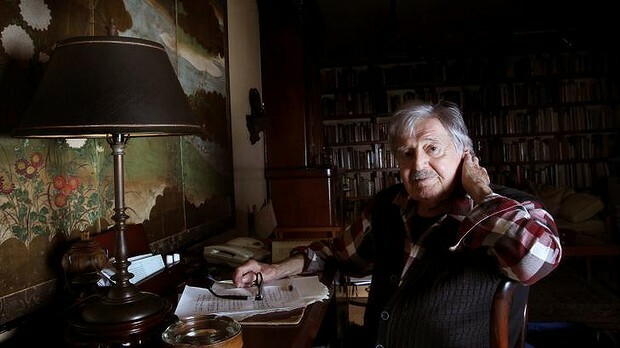 A sad day for Australian music; composer Peter Sculthorpe has died, aged 85. It seems an appropriate day to continue my investigation of music with nocturnal associations by writing about his ‘Night Pieces’ of 1971. The suite of consists of ‘Snow, Moon and Flowers’, three short pieces of about grade 4-5 standard, followed by ‘Moon’, and then ‘Stars’, which is harder. It is a lovely set, providing a gentle way into 20th century music for those who wish to explore. Take care in these pieces with the composer’s markings re tenuto, dynamics and accents; use of pedal and imagination combine to create a colourful addition to the repertoire. “Sculthorpe was the first Australian composer to create a distinctly Australian sound and style that communicated to a wide local and international audience. Before Sculthorpe, most educated Australians could not have named an Australian composer. His genial influence on students and composers encouraged generations of composers to look inward rather than abroad to discover their own voice,” said McCallum. This entry was posted in Nocturne - A Little Night Music and tagged Australian music, Masaoka Shiki, Night Pieces, Peter Sculthorpe. Bookmark the permalink. Yes – well worth exploring their fragile beauty. I bought them a few years ago and couldn’t quite find my way into them. Since reading this post I’ve had another go and think I will stick with them. 🙂 It’s a rewarding set of pieces. My take on this is, this could be a hollywood move sound track. and I’ve heard this harmonic thingy(Lol) borrowed by other composers. I must say this piece is very interesting.